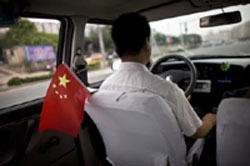 Home > Fact or Fiction: Drivers in China make sure to KILL any Pedestrians they Hit? 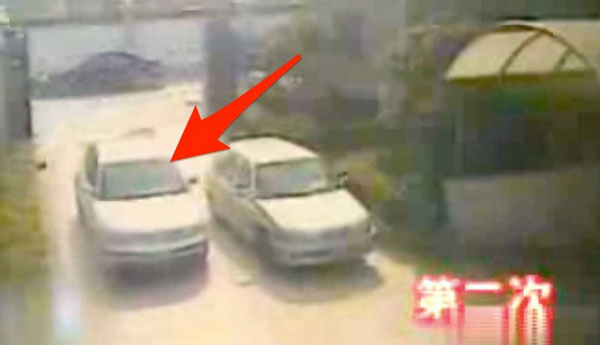 Fact or Fiction: Drivers in China make sure to KILL any Pedestrians they Hit? We all know at least one urban legend. From the belief that mixing pop rocks with soda will cause your stomach to explode to the unverified report that Bigfoot was killed last year, these populate our social consciousness and are extremely widespread. So it’s not a surprise that when the average American is told that in China, drivers who injure pedestrians will also usually try to kill them, the reaction is one of clear disbelief and usually followed up by a “that’s a good one, you got me” type of response. How can this be? Well, according to this recent expose on the practice in Slate, these kind of a “double hit” cases have been a recorded phenomenon in Taiwan since the early 1990’s. There are even documented security camera and CCTV footage of these incidents all over the internet, including this footage from a 2008 television report. In the video (scroll to timestamp 00:43), you can see the driver, Zhao Xiao Cheng, accidentally back over a 64-year old grandmother. You then see Cheng realize what he has done, and then continually drive his white Passat forward and backward over the grandmother, in what seems to be a clear attempt to make sure she is dead. The video in turn lead to Cheng being charged with intentional homicide. What’s more horrifying than this video? Cheng was actually ACQUITTED of homicide! How can this be you say? Well in Zhao’s case, his attorney successfully argued that he thought he was driving over a trash bag. That defense was enough to get him three years in prison for negligence; he served two. As we mentioned above, these hit and kill cases are not uncommon. But the answer to why is even more shocking. In China, due to codified laws on victim compensation, if you hit and kill a pedestrian you can expect a one-time payment to the victim’s family of $30 to $50K. Once this payment is made, the authorities consider the matter closed. However, let’s say you hit and injured a pedestrian but did not kill them. Under Chinese law you would be required to care for him/her, and his/her disability, for their entire life. This means your liability could run into the millions. In fact, the Slate article mentions the example of a disabled man who has been collecting payoffs for the last 23 years, currently totaling $400,000. Here at The Reeves Law Group we handle car accidents and pedestrian injury claims all the time. Further, there really isn’t much we haven’t seen in the personal injury sphere…until we ran into this “hitting to kill” topicality. Does the above make you want to rethink visiting China? It certainly does for us. In fact, if we can provide any advice for you, it would be this: if do have to visit, make sure you use a DRIVER. Do you have something you can add to this article? Have you recently returned from a trip to China and have some insight you can share? Let us know in the article below.